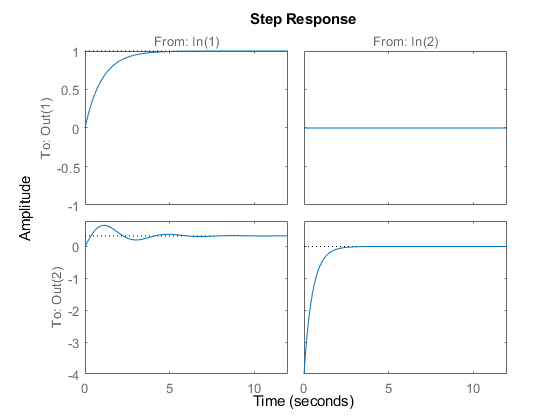 This example shows how to create continuous-time linear models using the tf, zpk, ss, and frd commands. These functions take model data as input and create objects that embody this data in a single MATLAB® variable. is specified as [1 2 10]. Such models expose the roots z of the numerator (the zeros) and the roots p of the denominator (the poles). The scalar coefficient k is called the gain. where x(t) is the state vector, u(t) is input vector, and y(t) is the output trajectory. Frequency response data (FRD) models let you store the measured or simulated complex frequency response of a system in an LTI object. You can then use this data as a surrogate model for frequency-domain analysis and design purposes. Note that frequency values are assumed to be in rad/s unless you specify the Units to be Hertz. Control System Toolbox provides an extensive set of functions for analyzing LTI models. 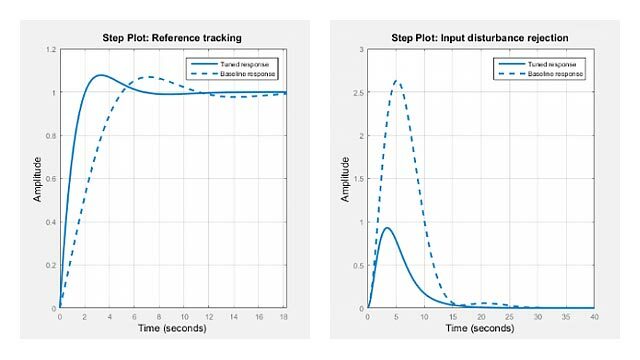 These functions range from simple queries about I/O size and order to sophisticated time and frequency response analysis. Transfer function with 2 outputs and 2 inputs. See the Model Analysis examples for more details.